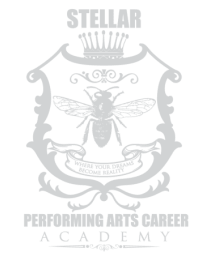 ST-PAC, Stellar Performing Arts Career Academy where our principles drive everything we do for our students and our community. Our K-8 students receive a strong academic foundation that serves as the catalyst to unlock their potential and develop their artistic talents. Led by a team of empathetic educators, ST-PAC students work in a creative, cooperative and collaborative manner while becoming independent thinkers. At ST-PAC, the administration, teachers, and community members understand that students learn best when they are active participants in a creative environment that provides the opportunity to be calculated risk-takers. ST-PAC students utilize technology to accompany the arts on their path to becoming productive contributors to an ever-changing society. The mission of ST-PAC Academy is to encourage and empower our students to achieve their fullest potential in all phases of their lives. To develop the whole child, ST-PAC incorporates an exceptional educational model and a nurturing environment for K-8 students through a curriculum which integrates the performing arts and technology. We strive to develop students academically, artistically, and socially so they leave ST-PAC Academy with the ability to self-advocate, enhanced self-confidence and self-awareness, and the skill set to learn in any environment. Identify and attract students with interests to match the chosen program. Provide an educational setting that fosters a learning environment that prepares the student for their future. Attract and retain high quality faculty members with the credentials and talents to offer challenging educational opportunities. Evaluate educational, artistic, and career standards to meet industry expectations in a global market. Uphold our commitment to the diversity of the community by fostering an environment that is inclusive, supportive and welcoming for all. Performing arts and technology encourage each individual to work in a creative, cooperative and collaborative manner while promoting independent thinking. Students learn best in a participative and creative environment within a well-founded framework of high standards in teaching and learning.